Tucson International Airport serves almost 3.6 million passengers a year. For visitors to Tucson, the official Tucson AZ airport code is TUS. Tucson International Airport’s main terminal has two concourses: Concourse A has 9 gates. Concourse B has eleven gates. There are 6 primary carriers serving Tucson International Airport. All ticketing occurs on the upper level. This level allows passengers to be dropped off. If you are parking your car the main parking lot just outside the terminal is very convenient. That convenience will cost a few dollars more then the remote lots. The 6 primary carriers provide none stop service to a many destinations. Connections will likely be required to other U.S. destinations and international locations. Baggage claim is on lower lever. Arriving passenger can be picked up just outside the terminal. However, cars cannot be parked there while waiting for a passenger. There is temporary no cost parking lot just north of the terminal. This area allows drivers to wait for a cell phone call or text from the arriving passenger. Inside the terminal is a third lever. The terminal’s third level has a full service restaurant and public meeting rooms. Rooms are available for rent. TIA is an international airport. All Tucson international airport flights use the main terminal for passenger boarding and arrivals. TIA is a port of entry that offers 24-hour customs and immigration services.TIA is accessible by air makes it an important for cargo. Tucson International Airport clears several thousand general aviation aircraft each year. There are two other Tucson Airports for general aviation. Ryan Field and Marana Airport. Additionally, La Cholla Airpark can be accessed by general aviation pilots with prior permission. In January 2014, the Tucson Airport Authority board approved a no-cost, 20-year property lease with FAA for property at TIA. 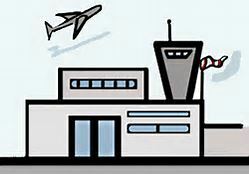 The Federal Aviation Administration will use the land for a new federally-funded control tower to replace the present 1950s vintage tower. Work on the new tower is planned to start in March 2014. With more than 45% of aircraft operations attributed to general aviation activity, Tucson International Airport (TUS) is dedicated to serving the general aviation pilot. In addition, TIA supports the 162nd Wing of the Air National Guard. This ANG unit is a primary training operation for the F-16 aircraft. Tucson established the first municipal airport in the country in 1919. Before settling at is present location, Tucson International Airport shared facilities at the Davis Monthan U.S. Air Force base. Shortly after World War II, the Air Force asked the city of Tucson to move TIA off the military base. The U.S. Air Force felt civilian and military operations should not be combined. In 1948 the Tucson airport authority was created. It is a nonprofit, quasi-governmental corporation. The authority and the city of Tucson executed a 25-year lease for the airport at its present location. That lease was eventually extended for 100 years. Directions to Tucson International Airport. Go East on Valencia Blvd to Tucson Blvd. Go south to the airport. MAP. Considering a move to Tucson AZ or planning for that future Arizona retirement? We can help!